Do people still make ‘chill out’ records? Do clubs still have ‘chill out’ rooms? I am so out of touch, I have no idea. If there were to be a chill out room, however, I would certainly be playing this The Electricity In Your House Wants to Sing set by I Am Robot and Proud on Darla. Made by 26 year old Toronto native Shaw-Han Liem, this is an electronica set full of human heart; a record made from slivers of glistening sound and mechanised processes that isn’t afraid to show the torn edges and ragged threads of aural collage. It’s also a record that understands the value of never outstaying your welcome, which is something too many would be textural electronica artists miss. None of the tracks here stretch themselves over the four and a half minute mark, and most indeed come in around three or under, which believe me is crucial. For it means that this is truly electronicapop; a record of sweet poise that smiles beguilingly with melodies that are gently infectious and textures that both soothe and intrigue in equal measure. The sound of Spring waking and warming your heart. 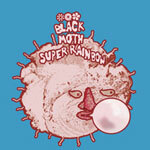 Similarly beguiling is the new Lost, Picking Flowers In The Forest album by Black Moth Super Rainbow. Now I’ve long held the view that this bunch of madcap geniuses should be clutched to our collective hearts and given feature length spreads in the likes of Wire. That is hasn’t happened yet simply baffles me, for their sounds have long been the kind of marvellously engaging, experimental Pop music that magazine is so often lauding. This new set sees them pushing their glitches further and breaking up their beats into more fractured and fractious chunks, all the while retaining the squelchy sub-urban psych-funk and warped vocal treatments that have become something of their trademark. Black Moth Super Rainbow make surreal rural 21st Century Folk music for the g-mapped, satellite beaming generation, and you better believe it sounds sublime. 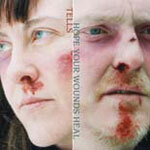 Also sublime is the Hope Your Wounds Heal album by Tells on Fire records. Now this came completely out of left field for me. I have to admit to having no knowledge of the Delicate Awol band from whose ashes this duo formed, but if this set is anything to go by then I should certainly do some investigating. For this is an album of rare beauty, casting its threads back towards the rarified roots of Young Marble Giants or more precisely the Weekend of ‘Red Planes’ or ‘Nostalgia’. There is also something of the off beat jazz infected charms of, say, that first Tortoise album, or Ui, and is certainly a record every bit as rewarding as anything those groups have made. And in Caroline Ross we have a voice as sparsely, delicately beautiful and perfectly flawed as any you care to mention. I can see this album becoming one of those mythical gems spoken of in hushed tones; a record that will soundtrack numerous summer afternoons spent lazing on the riverside or soaking up the heat of the city. It’s already alongside the likes of Colleen’s Everyone Alive Wants Answers on my shortlist of Must Play records for Summerdays on the lawn. Stepping up a gear now with The Airfields’ Laneways EP on Humblebee recordings. All jangling, chiming guitars and trembling vocals, this reminds me somewhat of the thrilling brittle Pop charm of early McCarthy, notably on their ‘You’re Alive’, to which it seems to me The Airfields’ lovely ‘Lonely Halls’ cheekily nods. It’s probably one of those cases of other shared reference points and influences creeping in, though; a case of an aesthetic that flows through the ages to be picked up by different generations, each of them interpreting it in their own way, oblivious to the peculiar details of the forgotten histories behind them. Which is as it should be, of course. Certainly it’s the case with Damn The Lion, who have made some of my most treasured songs of recent weeks in their 1994 EP. Capturing the marvellous charm of the likes of Stars of Heaven and East Village despite having no idea who those artists were, Damn The Lion make a truly infectious Country tinged downbeat minor chord rock full of chiming guitars and soaraway melodies. It’s never better than on the astonishing ‘You Cast No Shadow’ which is in my list of best songs of the year or ever, for this week at least. And you can’t ask for more than that. ‘I don’t believe in fairytales, I do believe in stories’ sings Martin Sörensson, adding that he also believes in happy endings. Well if the story of Damn The Lion were to go as it should, then that happy ending would be seeing Martin’s songs playing from rooftops the world over, their electric charges flowing love and beauty throughout networks of wild hearted outsiders. For now though I’ll make do with taking five of those gems and making the finest damn 3” CD EP you’ll hear this year. Oh, and he’s from Gothenburg and also plays in the similarly god like Shade Tree. Go figure. Except that of course there are going to be several of the finest damn 3” CD EP’s you’ll hear all year coming out in the next few weeks, and if I can’t publicise that fact here, then where the hell can I? Not least of these will be a collection of sparkling gems from the dazzling Sarianna. You can blame the demon MySpace for this one, though I can’t quite remember how the connection came about. I’m glad it did though, because Sarianna’s songs are beautifully poised gems of urbane Pop that dwell in the same kind of rarefied environment that, in my world at least, includes the likes of Get Lost era Magnetic Fields. Now that’s some mighty, mighty magnificent neighbour to be close to, but one suspects that being close to the presence of inspired brilliance is not unusual; for Sarianna can boast of familial connections to the initial incarnation of the Manhattan Transfer and to one of the first woman lawyer in the USA. So the collision of gritty, earthy ego and creative inspiration seem to be in her genes. It’s certainly all over her songs. It’s all over Sean Spada’s songs too, and his Bengal Lights EP is equally delicious. Now, Sean plays on some of the Sarianna tracks, and his solo efforts conjure thoughts of an upbeat Flare. This is bedroom-orchestrated Pop that dreams of huge vistas and hurls kisses at the moon. Don’t miss it. Staying in New York for the always engaging Jeffrey Lewis next (I’m guessing Jeffrey is still based in NYC?) with his contribution to the Still Unravished June Brides tribute set. ‘Waiting For A Change’ was the first solo single that Phil Wilson made for Creation after the June Brides split, though the group had recorded it as part of a classic Peel session back in 1985. And yes, it does scare me to think that was twenty one years ago. The backing group on the solo effort was actually The Triffids (and incidentally, look out for a fine reissue series of their catalogue by the fine people at Domino, starting soon with Born Sandy Devotional), lending Phil’s country tinged arrangement a deft depth and tingling touch of gold. Not that it helped it sell, of course, but twenty years down the line that’s hardly important, is it? Anyway, Jeffrey eschews that country sound for his own trademark stripped back urban folk, and it’s a treat of a treatment that sits well in an album of equally fine offerings from fans from across the ages. So there’s space for the Junies’ Creation stablemates and contemporaries Jasmine Minks and TheLegend!, the very marvellous Tyde, Television Personalities, Tompaulin, Manic Street Preachers and The Starlets, who deserve special mention for their beautifully downbeat reading of ‘Sunday To Saturday’. As a companion piece to the unmissable Every Conversation retrospective of Phil and the June Brides, this is a treat that is not to be passed over.